The AK protocol is a so-called master slave protocol. Here, the analyzers act as slave, i.e. the analyzers only react to enquiries, they never send on their own initiative. The analyzers are controlled by a master. In general this is a Programmable Logic Controller (PLC). The AK protocol can be used either via the serial RS232 interface or via Ethernet. 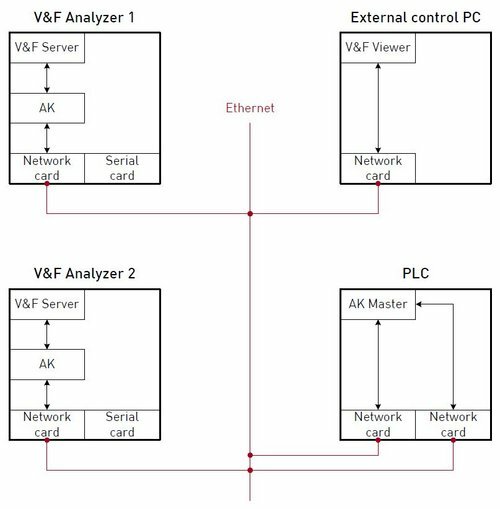 The following figure shows the connection of the ethernet interface to AK communication.